face coloring is all starting to come together now. 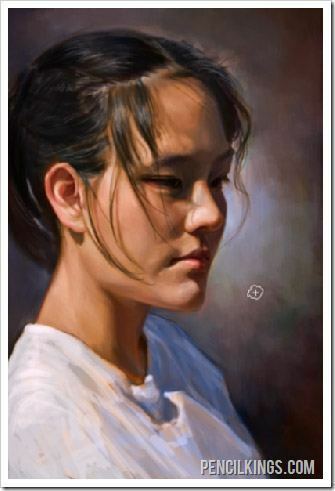 Ready to learn more about how to paint realistically? Up until now, the background has been left fairly rough, but you’re going to start adding in additional color and brush strokes to give the background a nice, soft painterly feel. 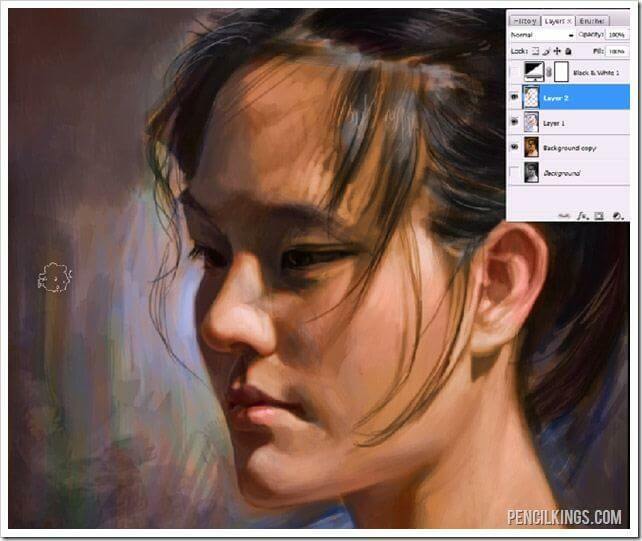 As you are working on defining the background remember to vary your brushstrokes and keep changing the color with the eyedropper tool to give it a subtle randomness that mimics the kind of variation you would get with traditional painting. Here you can see the background is still quite sketchy, but as you progress downward through the images in this lesson you will see it becoming more and more blended and defined, so those hard edges begin to naturally disappear. 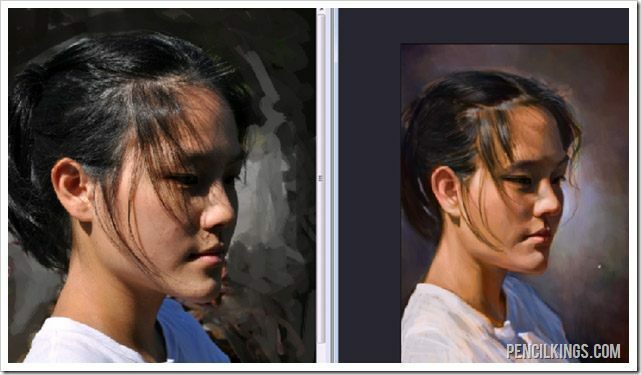 At this stage in our tutorial on how to paint realistically, you can really start to see the differences in the painting and the actual photo. Here again the image has been flipped to give a fresh look at the painting. In addition to flipping the canvas you should step away from your painting from time to time so that you can give your eyes a rest. It’s also important to give your mind a break so that you always feel fresh and inspired while you are painting. If you find yourself feeling bored, you’re more likely to produce boring work – and this is never a good thing. It’s really important that you draw what interests you, especially when you are starting out. If you don’t draw something that you personally find interesting, chances are that you will lose interest and may give up drawing all together! We certainly don’t want that to happen! 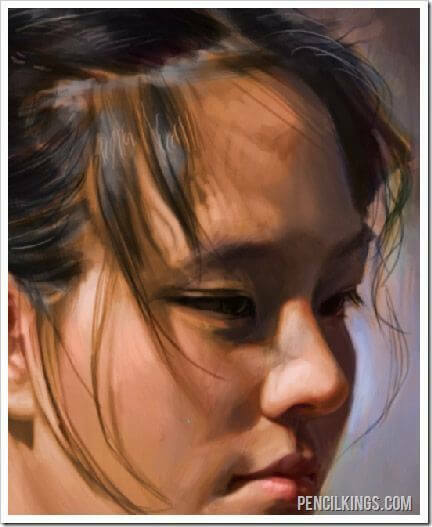 The good thing about watching these lessons on how to paint realistically is that you can learn the techniques used, and then apply them to whatever you would like to draw or paint. 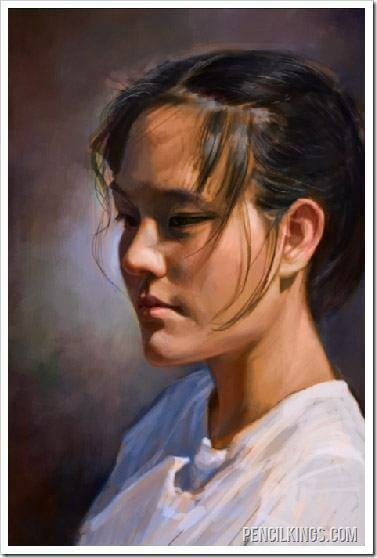 You can approach a still life painting using the same methods that you’re learning here by watching this portrait painting demonstration. It’s really up to you to find what you want to create, and then use what you know to bring it to life. Once you have finished working with the background, you can go back in and continue to refine and add subtle color detail to the face. Remember that each painting you do is another opportunity for you to learn and improve, and you grow with each work that you finish. All of this adds up to becoming a better artist bit by bit, and even if you aren’t getting the exact results that you want right now, as you continue to practice and learn you will improve. There’s no way that you can actually get worse at drawing by working on your skills and practicing, so take some comfort that the work you do tomorrow will be just a little bit better than the work you do today. This realization that I am always learning, growing and improving as an artist as long as I keep working on my art is one of the key motivators that keeps me interested and feeling positive about my work. 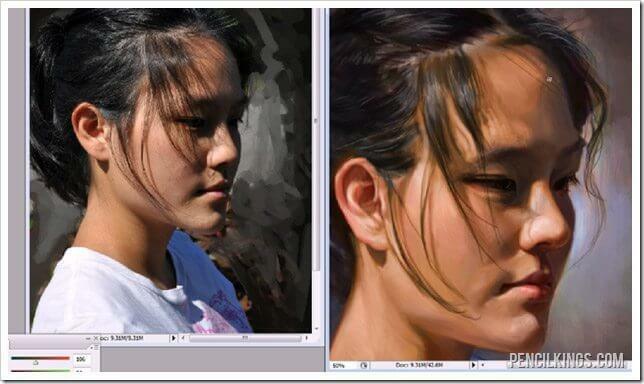 I hope you’ve enjoyed this article on how to paint realistically. Why not get in touch and let me know how it’s helped you?